Interested in a one-of-a-kind souvenir from your next Breckenridge vacation? 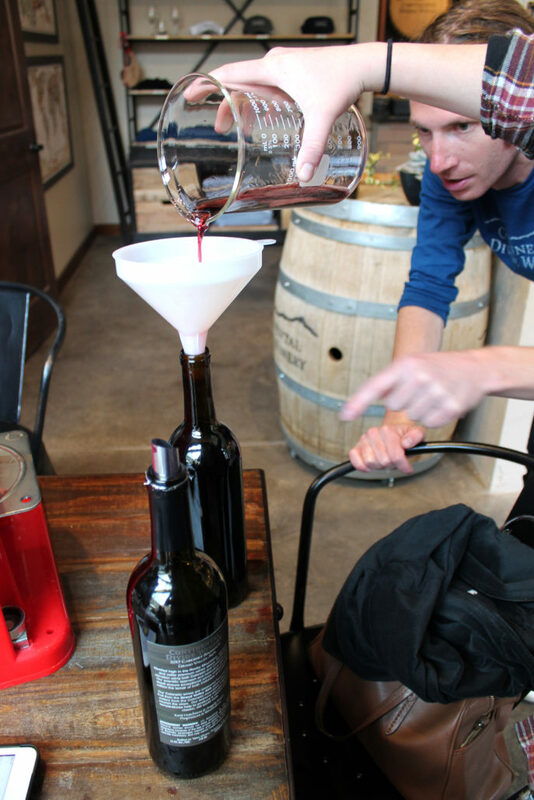 Why not try your hand at wine blending! 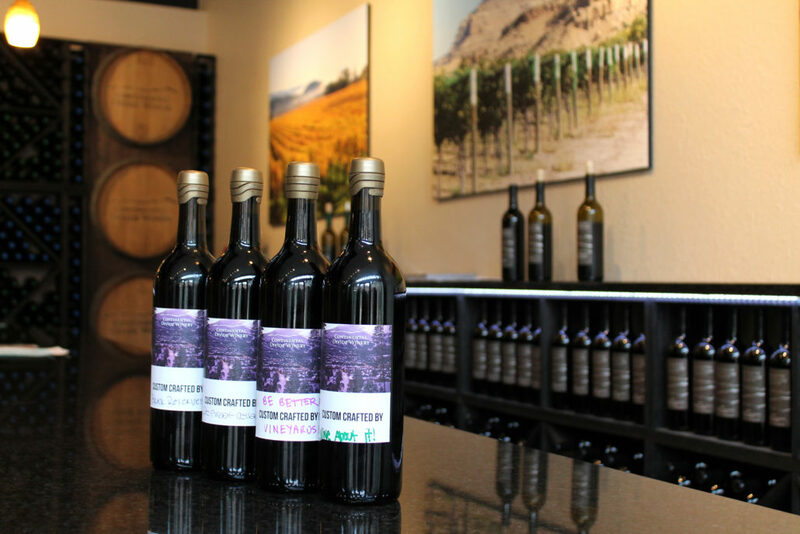 Continental Divide Winery, CDW, opened in December 2016 and has been thriving ever since. 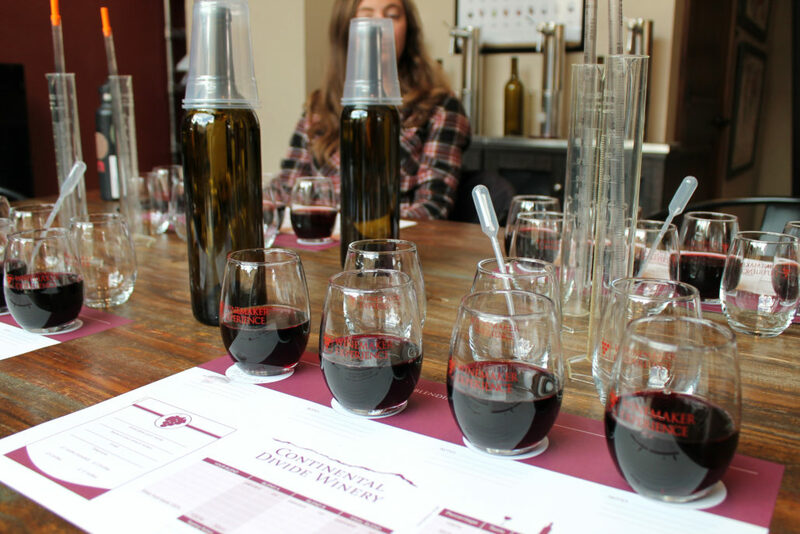 With wine tastings, wine blending, and blind tastings, there is an option for everyone! The wine blending experience, WBE, is a perfect option for a small to large group and comes with a bottle of your own creation to take home. Sunday, Monday, Thursday, or Friday: 2 p.m. or 4 p.m. Blending unavailable Saturday. You will meet with an experienced winemaker who will lead you through a tasting and then the blending process. 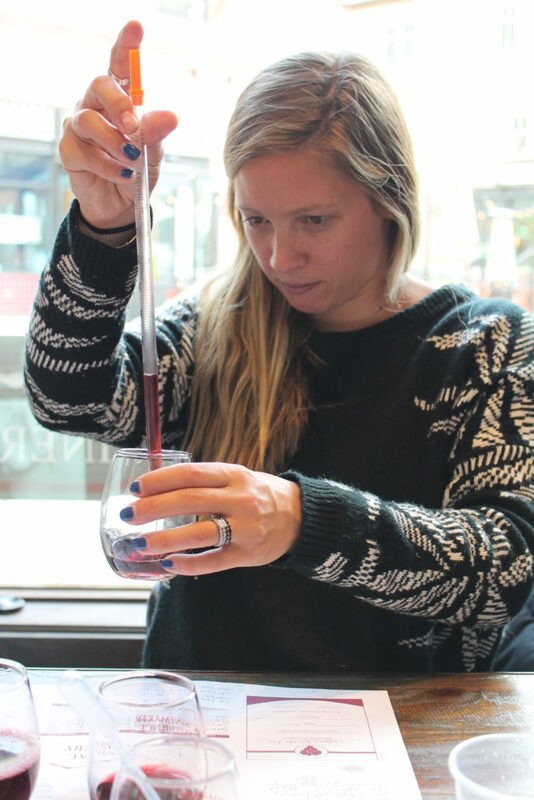 After tasting and describing a variety of red wines, you will then get careful instruction on how to use pipettes and beakers to measure out samples of your very own blend. This step may bring you back to chemistry class, but you are sure to have more fun! After trial and error, you will pick a favorite wine blend and then use your sample proportion percentages to make a full size 750 ml bottle. You will then cork, label, and name your custom creation! You will end the WBE with a bottle of your very own special blend to take home. Your blend will be carefully marked with the percentages of wines you used and if you LOVE your blend you can place an order for more bottles of your blend. Our friends at CDW have told us that they have had custom wine blend orders for small weddings, anniversary parties, and other events. What a fun way to add your own personal touch to a special event. Wine tasting: Enjoy a California vs Colorado tasting where you can compare how grape varietals from different regions taste. Blind tastings: Want to test your knowledge of wine? Ask for a blind tasting and see how many grape varietals you can get right. Tasting prices: $10 for 4, $15 for 6, $20 for 8, or request a blind tasting. Wine Club: Love what you tasted? Become a member of the CDW wine club and receive free tastings, invitations to winemaker parties, 25% off wine bottles, and other perks. To learn more about wine tastings, the WBE or to make a reservation call 970-771-3443.